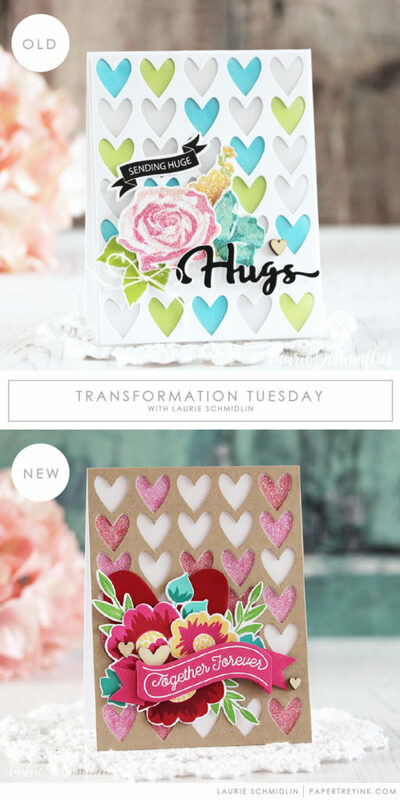 “Transformation Tuesday is probably my favorite challenge here on the Papertrey Ink blog. I do enjoy recreating and tweaking projects that didn’t turn out as well as I had hoped. 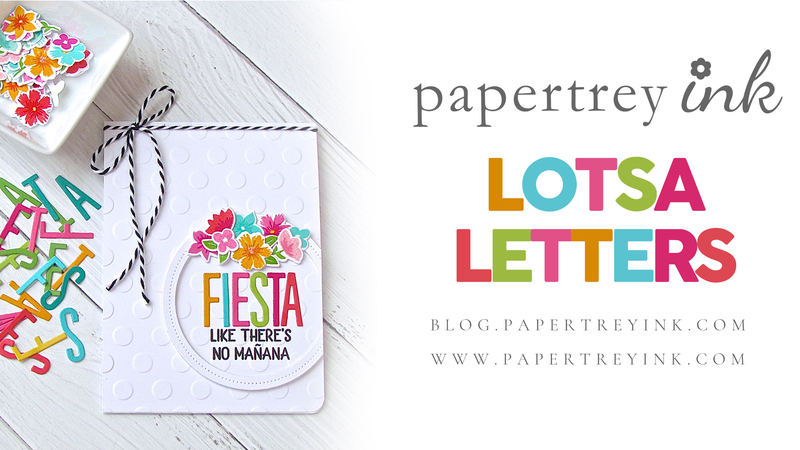 I also really enjoy recreating cards that I did like but want to customize for a particular season or holiday! 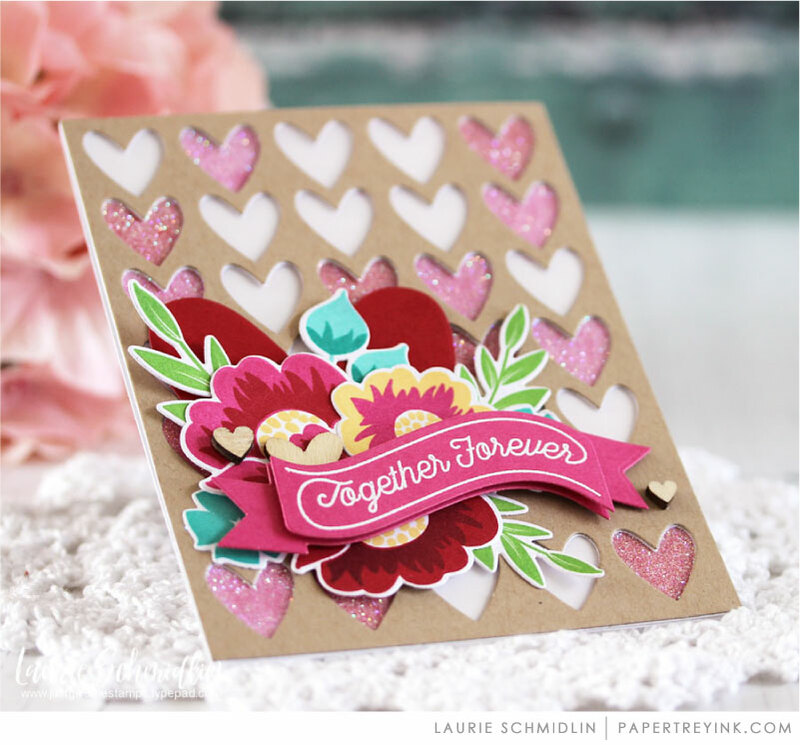 The Huge Hugs card that I created for a Make it Monday video tutorial features a fun technique that I wanted to revisit. The Cover Plate: Hearts is perfect the upcoming love and wedding season so I chose this card for today’s inspiration. I used the same background and basic layout but changed up the colors and stamps giving it a whole new look! You will have until 6am ET, Tuesday, August 7th, to add your link to the list to be eligible to win. One randomly selected winner will be chosen from ALL the entries on Tuesday, August 7th, after 6am. The winner will be posted here on this blog post, on Twitter and Facebook. The randomly selected winner will get a $25 PTI gift certificate to spend however they like! 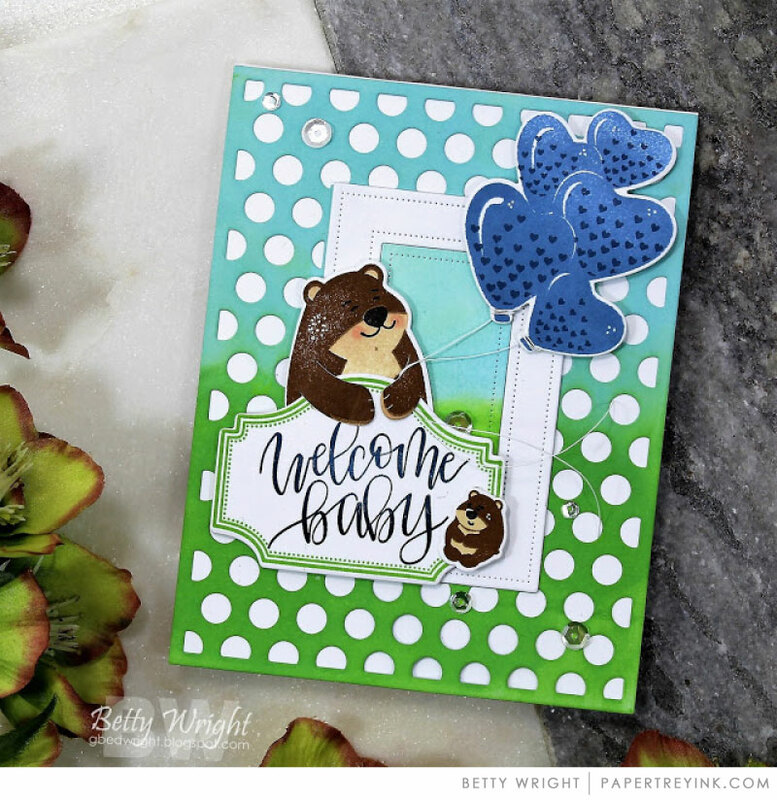 Congratulations, Betty Wright! Please send an email to customer service and provide them with your full name and the email address you would like your gift certificate sent to. Thanks so much to everyone for playing along! Love the transformation. I adore glitter but the first one with flowers in the foreground has a hazy appearance. The new version puts the glitter in a smaller, more pleasing background and the flowers take center stage. Love the color combos of both cards. Laurie is quickly establishing herself as a well-loved designer and asset to the team! 💕the heart cover plate die. Wonderful samples.